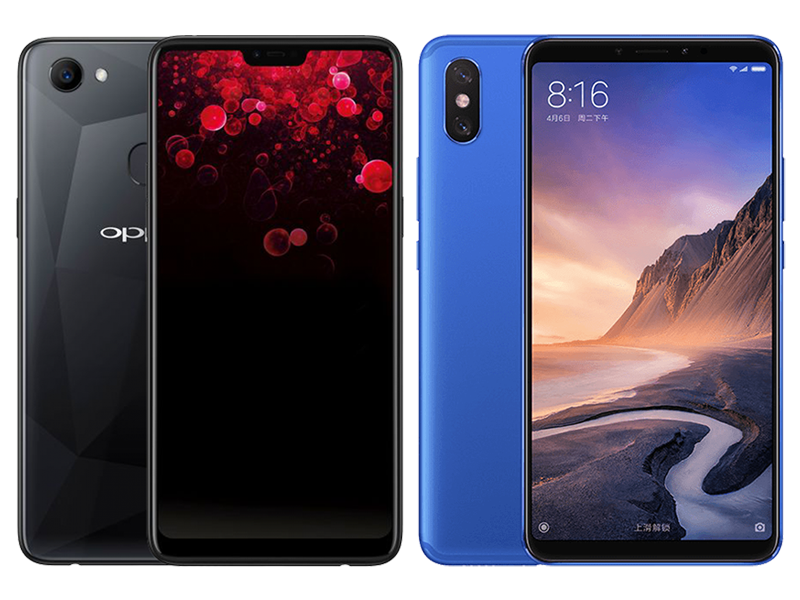 The OPPO F7 and the Xiaomi Mi Max 3 are two phones with some of the best specs for the price. Which of them is the right one for you? Let's compare! 2.0GHz 64-bit Helio P60 octa-core processor with dual-core A.I. The OPPO F7 represents the norm of 2018 mid-rangers with a tall display and decent specs. 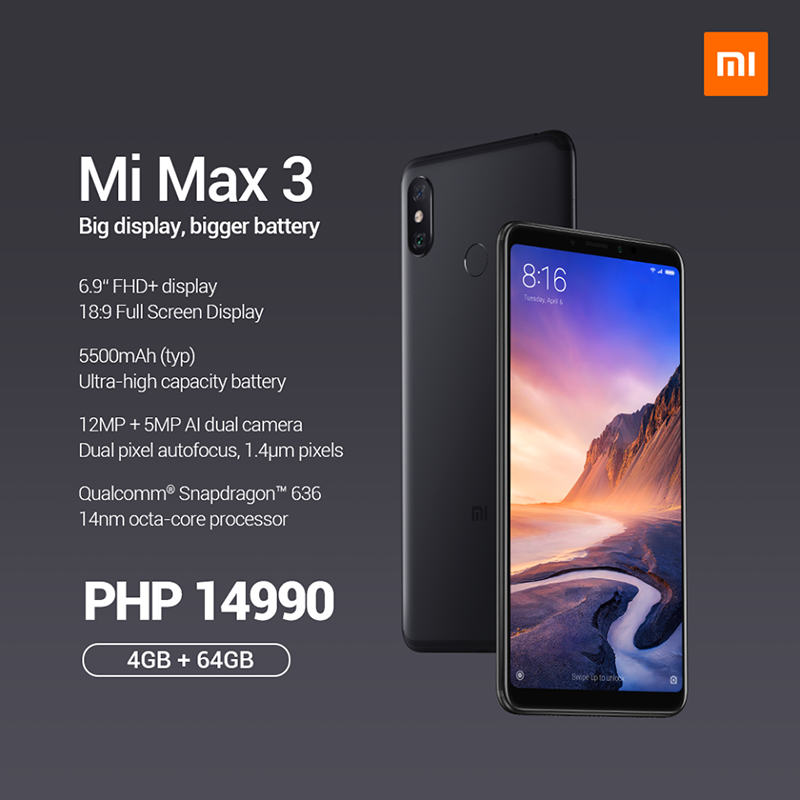 The Xiaomi Mi Max 3 is huge in terms of it's sheer size and as well as specs and features. Display - The Xiaomi Mi Max 3 has a huge 6.9-inch 2.5D curved IPS display running at FHD+ resolution. The OPPO F7, on the other hand, has an FHD+ 6.23-inch 2.5D curved LTPS TFT display with Corning Gorilla Glass 5. In terms of sheer screen size, the Mi Max 3 takes this round. However, in terms of resolution and pixel density the OPPO F7 has a little bit more sharpness. Specs - The OPPO F7 has a Helio P60 octa-core processor clocked in at 2.0GHz, Mali-G72 MP3 GPU, 4GB of RAM with 64GB of expandable storage and 3,400mAh battery paired with 2A charger. On the other hand, the Mi Max 3 has a Snapdragon 636 octa-core processor running at 1.8GHz. Adreno 509 GPU, 4GB to 6GB of RAM with 64GB to 128GB internal storage and a whopping 5,500mAh battery with Quick Charge 3.0. The OPPO F7 takes the lead in terms of processor speed. GPU performance could go either way. In terms of RAM, it is also tied with Mi Max 3 offering up to 6GB but that may be for a higher price. OPPO F7 takes the storage battle since there is no indication of expandability with the Mi Max 3. Battery match-up goes to Mi Max3 in paper but it could be compromised by the display size and end up with it being tied with OPPO F7 still in terms of battery life. Cameras - The OPPO F7 offers a single camera setup with a 16MP f/1.8 sensor with PDAF and LED flash. The Mi Max 3 offers a dual camera setup with a 12MP f/1.9 Samsung sensor and a 5MP secondary sensor with Dual PDAF and LED flash. We have only tested the OPPO F7 as of now. So we know how it performs. The Mi Max 3 shows promise with their dual camera setup since it also has dual PDAF. It might turn out to be better than the OPPO F7 but we have to wait and see. In terms of selfie the OPPO F7 takes it with a 25MP f/2.0 Sony IMX576 with A.I. Beauty Recognition 2.0 and screen flash over the Mi Max 3's 8MP f/2.0 sensor. Other features - The OPPO F7 has 700MHz LTE with VoLTE, OTG, Dirac HD audio and dual mics. The Mi Max 3 offers GLONASS, IR Blaster and USB Type-C port. The OPPO F7 wins this battle since it has a bigger number of extra features. This is a toss up between the these two. Both offers something that the other does not. The mid-tier price range is getting more crowded with each new release. The Xiaomi Mi Max 3 offers a larger display to work with coupled with good specs and great looking camera specs as well. It also has a huge battery that could be compromised by the display size but we still need to confirm that. It is "stands out" of the crowd because of how big it is. 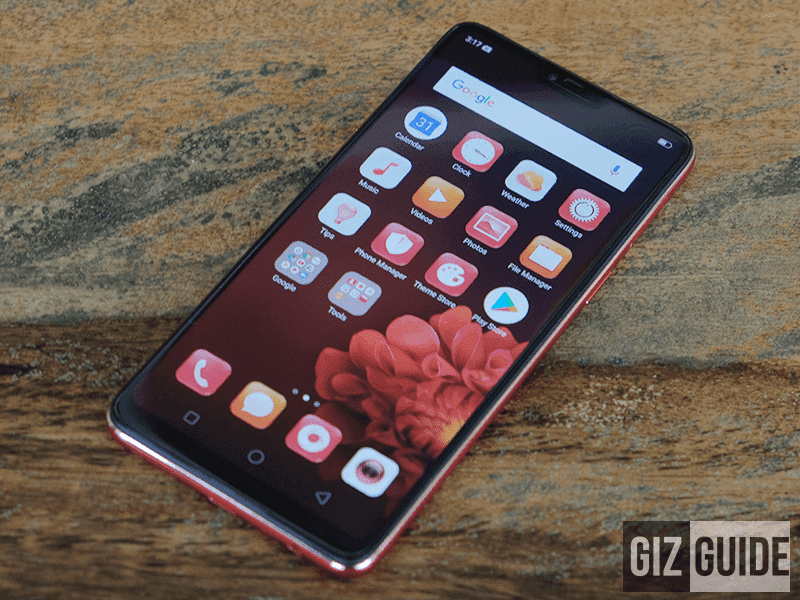 The OPPO F7, on the other hand, keeps it under the norm of the 2018 mid-range devices with both decent specs and tall displays. It also stays true to OPPO's selfie game. It provides 700MHz 4G LTE as well so fast data connection is a plus. They offer different charms and both gets the our stamp of approval. An actual comparison is needed to determine the right winner though.